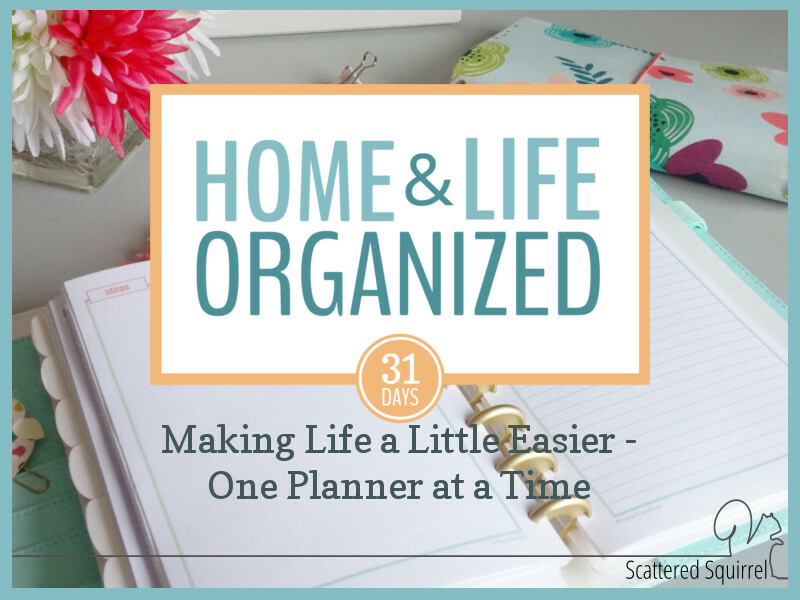 Home and Life Organized – 31 Days of Planner Fun! Happy October everyone! If you’re just joining us, every October for the last few years I take part in the Write 31 Days challenge, where myself and many other bloggers pick one topic to write about for the whole month. It’s a ton of fun and a lot of work, and I love it! This year I decided to combine two subjects near and dear to my heart – home management and planners – to bring you Home and Life Organized! I’ve got a lot of fun stuff planned this month, and I hope you’ll enjoy it. I am so excited about this series I hardly know where to begin explaining it to you. I do know that if you let me, I’ll ramble on and on about it. With that in mind, I’ll try to keep this first post more on the brief side. My main goal for this series is to provide you with some tools, ideas, and inspiration for getting or keeping your home and life organized. 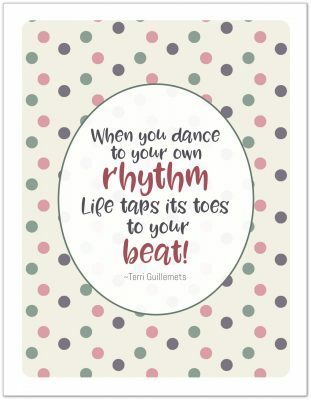 I’m going to do this is my absolute favourite way – with lots of printables of course! So what can you expect? but mostly it will be printable heavy! Planner are my number one tool for getting organized, more importantly for me, they help keep me organized. Over the years, as my needs have changed, so has my planning system. I’ve ended up adding more planners for different things and though it seems like it should create chaos, it’s been so beneficial for me that I really wanted to take the time to share this with you all. Now, if you’ve followed me for a while, you know that I always say that you need to make your systems work for you, not the other way around. This series is no different. Just because I have my system set up this way, doesn’t mean it will work for everyone. I’ll be working on two of my planners this month – my home management binder and my personal/family planner. Some of you may see the need for more than two as the month goes on, others might wonder why one isn’t enough – that’s ok. This is the beautiful thing about planners, and life in general, we all do things in a different way. I would dearly love to know how you use your planners, so please feel free to share in the comments on any of the post. I will try my hardest to respond to all comments, but I make no promises that I’ll get to them before the end of this month. But don’t worry – if you have any questions read on to find out how I’ll be addressing those. This year I’m adding in an extra little something. I’m going to be hosting at least two LIVE Q and A sessions on my Facebook page, I hope you’ll be able to come hang out and chat with me. Make sure you’ve liked my Facebook page so you don’t miss the notification when I go live. If you’re not sure if you’ll be able to catch the Live video, or if you just want to make sure you don’t forget to ask it, I’ve got you covered. I’ve already shared a post on my Facebook page where you can put all your questions about planners, home management, the series, or anything else you’d like to chat about. In addition to the Facebook Live videos, I’ll also be writing a couple of Q and A posts. I know video isn’t everyone’s cup of tea and I don’t want anyone to miss out. I think that covers everything for now. Don’t forget to follow along on Facebook if you want to be notified for the Live Q and A sessions, and I’ll also make sure to give you a heads up in the post the day before. Until tomorrow – take care everyone! Previous Post: « Introducing My New Blog Planner Printables!! !